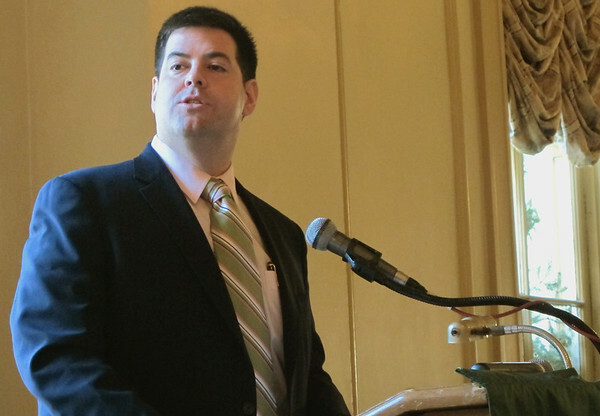 SALEM: State Rep. Steven Walsh, D-Lynn, speaks to the North Shore Chamber of Commerce about health care financing reform during an executive breakfast forum at the Hawthorne Hotel. His message was the present fee-for-service health care system is unsustainable, and reforms are needed to bring costs down. Ethan Forman/Staff photographer Feb. 8, 2012.